You have Craterhoof, Sword of Fnf and Exploration, but other than these three cards I don't see a lot of other expensive price cards therefore my card suggestions will be low budget ($5 or less each). Duskwatch Recruiter Flip: Recruiter can be a mana sink, repeatable way to put a creature into your hand to then cast with Yeva. 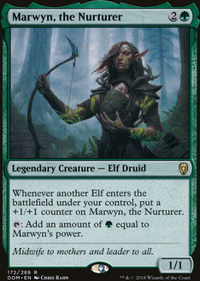 Priest of Titania : one of the best mana dorks in Commander for mono green ramp when you're playing other Elves, Yeva is an Elf. Vizier of the Menagerie : Vizier lets you play creatures from the top of your library, you can do this at instant speed with Yeva. Nature's Claim : only one mana is an upgrade for Naturalize. 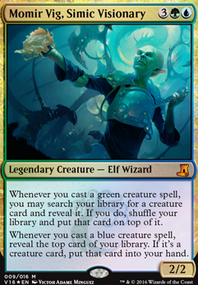 Joraga Treespeaker : another one drop mana dork who can be a mana sink to make even more mana with other Elves. Nature's Lore : search for a Forest and put it onto the battlefield untapped, is an upgrade for Rampant Growth or Lay of the Land. Skyshroud Claim : searches for two Forests and puts them onto the battlefield untapped, is an upgrade for Ranger's Path or Cultivate. Scavenging Ooze : repeatable graveyard hate is nice to have access to in Commander. If playing Yisan, the Wanderer Bard then consider creatures who can untap him? Letting you use his ability more than once a turn :) This is helpful to chain creatures and build up lore counters faster. These cards are also good with mana dorks especially Karametra's Acolyte, Priest of Titania as well as Fauna Shaman, etc. Quirion's ability to bounce a Forest you control to then untap a creature you control can be used once on each of your opponent's turns as well as your turn. 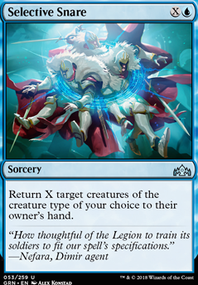 This lets you at instant speed on an opponent's turn untap Yisan or a mana dork to use their abilities again. The deck continues to test well. Last game I didn't draw any of my bees, so I was instead attacking with a 34/17 Fyndhorn Elves with trample. 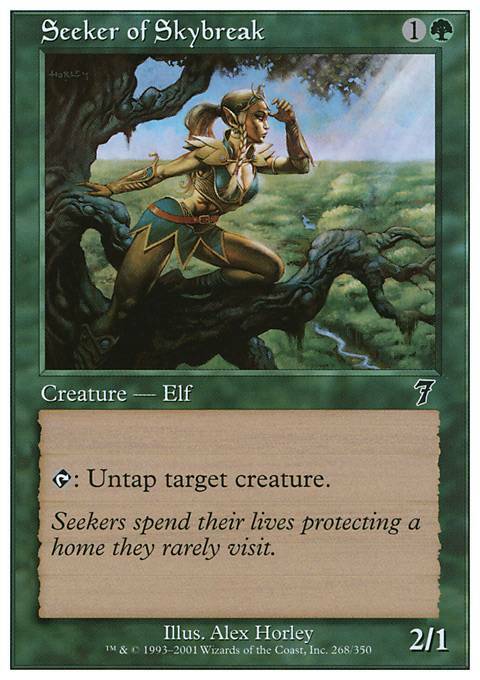 I had two Timberwatch Elf , which could both pump twice thanks to a Seeker of Skybreak and Wirewood Lodge . I also had a Berserk . Could have technically been a 68/17, since I also had the second Berserk in my hand, but it wasn't needed. I'm guessing after combat, I can untap Combat Celebrant with Seeker of Skybreak to get another combat and so on...? Add Seeker of Skybreak and Splinter Twin to maximize combo ability. 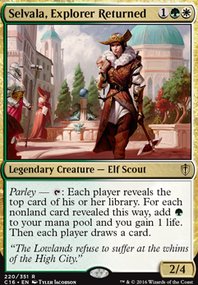 Elvish Herder may be better than Eldrazi Devastator since it can give your lands trample too and is an elf. 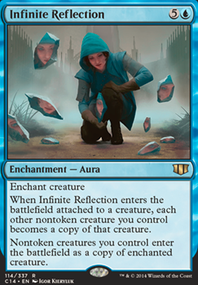 My friend runs a similar, non-pauper, list that runs Wirewood Herald and Seeker of Skybreak , which could be interesting inclusions in the deck. I like your deck description. Too bad Seeker of Skybreak is illegal in modern. You'll have to find an alternative combo piece. SynergyBuild on Yisan is running slowly. The switches lists speed the deck up and make it win through an easy and efficient combo, all fetchable by Yisan. 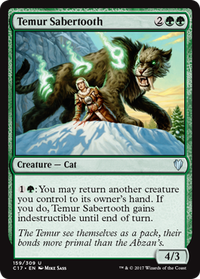 The combo uses Great Oak Guardian , Temur Sabertooth , and Wirewood Symbiote . 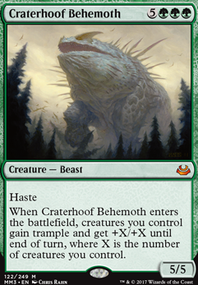 With these and enough mana producing creatures, you get infinitely large creatures or with 1 more mana, infinitely large creatures and infinite mana, and untaps which can be put into Yisan to fetch Caterhoof and give the team trample. All together, the deck will also run enough early-game interaction like Caustic Caterpillar , Manglehorn , Reclamation Sage , Natural State , Nature's Claim , the already run Lignify and Acidic Slime , and catch-alls like Desert Twister and Yisan fetchables like Somberwald Stag . 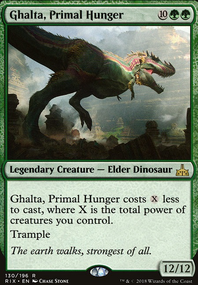 With all of this in mind, it is a little weak to removal, but with Eternal Witness and Temur Sabertooth both fetchable with Yisan, I feel it can be okay.